One of the best parts of our job at The Olive Scene is getting to help you, our customers, find the perfect holiday gifts for your friends and families, and helping you find the perfect oils and vinegars to make your meals memorable and delicious. Useable! Instead of sitting on a shelf, our oils and vinegars beg to be used in the kitchen. Healthy! Olive Oil and a Mediterranean diet have shown to improve cholesterol, blood sugar, and reduce the risk of Alzheimers and heart disease, and much more. Delicious! There's no denying that our products taste amazing. Ready to go! 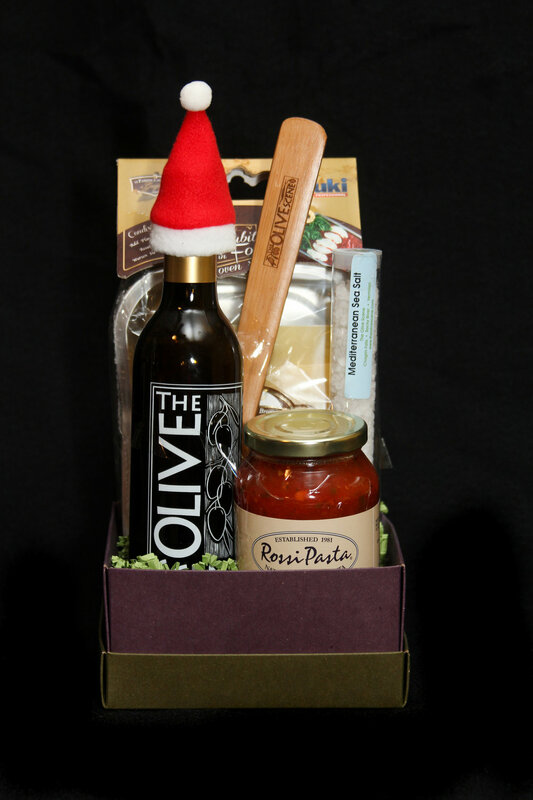 There's no need to wrap your purchases from The Olive Scene. Many of our gift sets come in beautiful packaging, and we'll happily wrap up any other gifts in our signature bags for you to take home. One size fits all! No need to guess what size to buy your friends and family, so let us help you take that stress away. Perfect for the person who has everything! You can always find a new flavor of olive oil or balsamic vinegar, or try one of our gourmet oils for that person on your list who has everything. And if they aren't as excited about cooking, try some of our amazing Abdallah Dark Chocolate Sea Salt Caramels (made in Minneapolis since 1909!). You can shop online for gift sets or oils & vinegars, or stop by any of our four stores in Northeast Ohio to let us help you find the perfect gifts for everyone on your list.